This 1961 album includes some beautiful and demanding standards along with originals from Horn and the band. 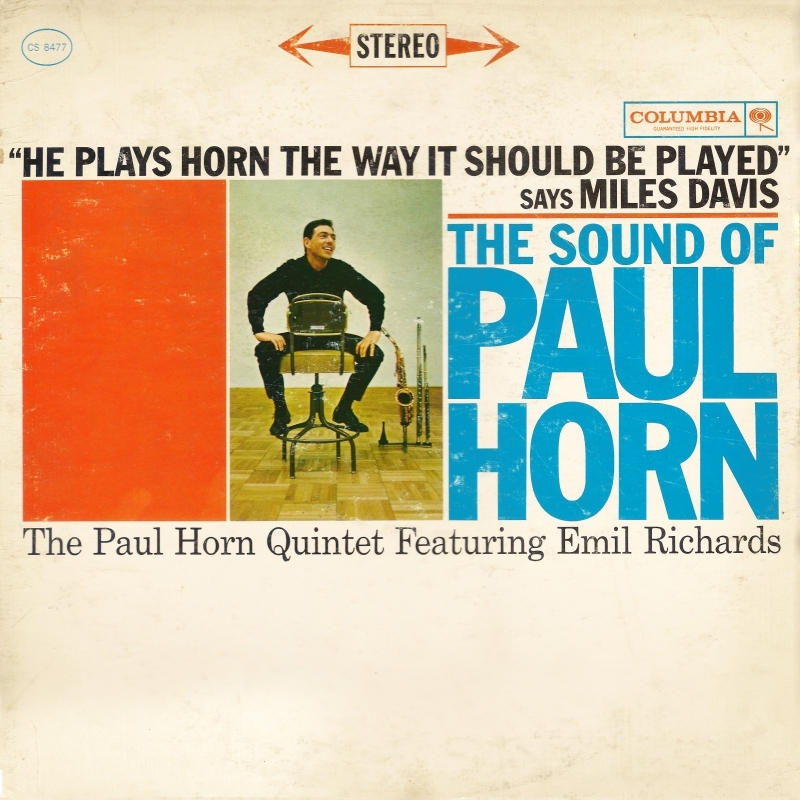 “My Funny Valentine” and “Without a Song” both open Paul Horn playing flute on free introductions shared by bassist Jimmy Bond. Each ballad receives sensitive interpretations that showcase Horn’s versatility with this purest of wind instruments. “Yazz Per Favore” (Jazz Please?) is a jazz waltz in blues form that breaks out with the keyboard instruments playing the propulsive melody. Vibraphonist Emil Richards takes the first solo before Horn enters, soloing with a modal approach. This one moves! This superbly preserved, high fidelity recording demonstrates the immediacy that stays with virtuoso performances regardless of when they were recorded. Digitized from 1/4" analog tape masters direct to DSD128. No additional effects or reverb were added to the sound of this recording.